I had the opportunity to take a road trip last week and just had to share a few experiences from along the way. Blue Giraffe Spa. A business sign spotted on I5 southbound. No picture of said blue giraffe though. Pavement rehabilitation. Made me wonder what addiction the pavement was suffering from. Easy Street & Shamrock Road. Perhaps this is where the end of the rainbow and the pot of gold are? “Diggers. A bar and no grill.” Located in the town of Willits CA. Bear Pen Undercrossing. Didn’t see any bears penned and wondered how they would cross if they were. For Elk information tune to 1610 information. No, they weren’t referring to the lodge where old men meet. “Food, Booze, Snooze” an inn on Route 199. At least you know exactly what you’re getting. Hellgate Excursions. Not sure this is a place I want to explore. The Feral Cats. A name of a local band. And for your viewing pleasure, here are few of the sights I saw too. I’m a writer. There I said it. And the world is still turning. My knees may be shaking, I may have a lump in my throat, but at least I set out to do what I intended. And that was to identify myself as a writer. For years when people have asked me “What do you do?” I’ve had various answers. Depending on when the question was asked, I was a student, a waitress, a receptionist, a camera operator at a tv station, a technical writer, a web developer, a massage therapist, and of course a mom. But the one answer that was always lingering in the background for so many years has been the most elusive one to come out of my mouth and that is a writer. Yes, I know I mentioned being a technical writer in my list of titles, and I was for a short time. But writing manuals about how to use tax software, well that’s not what I aspired to write, and that actually turned into my becoming a web developer after just a couple of months. So I wouldn’t have necessarily called myself a writer then. There was one time I was flying somewhere by myself and my seatmate struck up a conversation. Of course one of the standard questions after are you going to xyz destination for business or pleasure, is, what do you do? I actually said then I was a writer. His response was what have you written? Suddenly I was tongue tied. I had been writing this blog for a while, and some years ago wrote for my high school paper. Do letters to the editor count, I thought. Once I was finally able to corral my thoughts I feebly answered “I write a blog and am working on a novel, but nothing’s been published yet.” The conversation turned to other topics after that, and the butterflies that were trying to escape my stomach finally subsided too. But ever since then, this one random encounter with a stranger, will come back to mind at the strangest of times. Most recently was this morning, in the shower. Some of my best ideas come to me during that time. Probably because I’m not distracted by anything else, no one is wanting my attention, the sound of the water pretty much drowns out anything else going on around me. 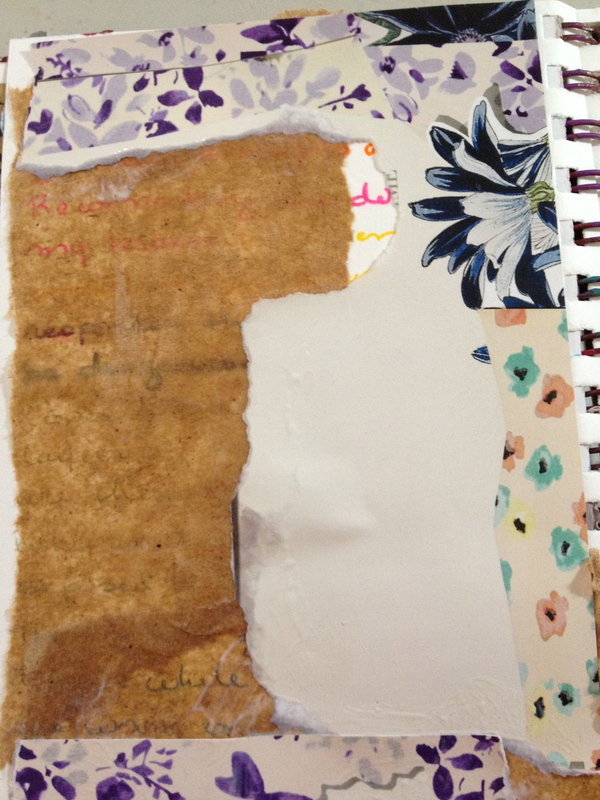 It gives me a chance to think, to let my mind wander, for ideas to germinate, or grocery lists to be formed. This morning however, I had an entire dialogue with myself about who I am and what I want to be when I grow up. (Okay, those of you that know me personally know I’m approaching my 50th birthday, and no I haven’t yet grown up 🙂 I doubt I ever will.) But what I took away from this conversation with myself is that if I don’t believe myself when I say I’m a writer, who else will? I’ve been writing a book for going on 4 years now I think. It’s finally getting close to having the first full draft done. It’s well over 100,000 words now, at last count I think it was about 275 pages if it were published in paperback format. Of course there is a lot of editing that will need to happen before it’s even remotely ready to be read by the general population too. But there it is. I’m putting this out in the universe, declaring and believing in myself, that I am indeed, a writer. And to that college professor all those years ago who told me I couldn’t and shouldn’t write, well yeah. You can use your imagination for what I’m saying to her now. Along with my inner critic, they are both relegated to somewhere else, not in my universe. So for those that have been around here for a while, you know that I try my hand at many different crafts and assorted art projects. This has led to many quilts being made (and given), various holiday decorations made (that are currently boxed up in the garage), as well as many started and yet never finished projects that have caused me to accumulate supplies and tools over the years. And I have moved these items, numerous times, always thinking I really should get rid of some of this stuff before I move again. Have I? Nope, not usually. And this has turned out to be one of those times when I was glad I didn’t. I have found a new outlet that combines two things I love – writing and creating something new out of bits of something old. 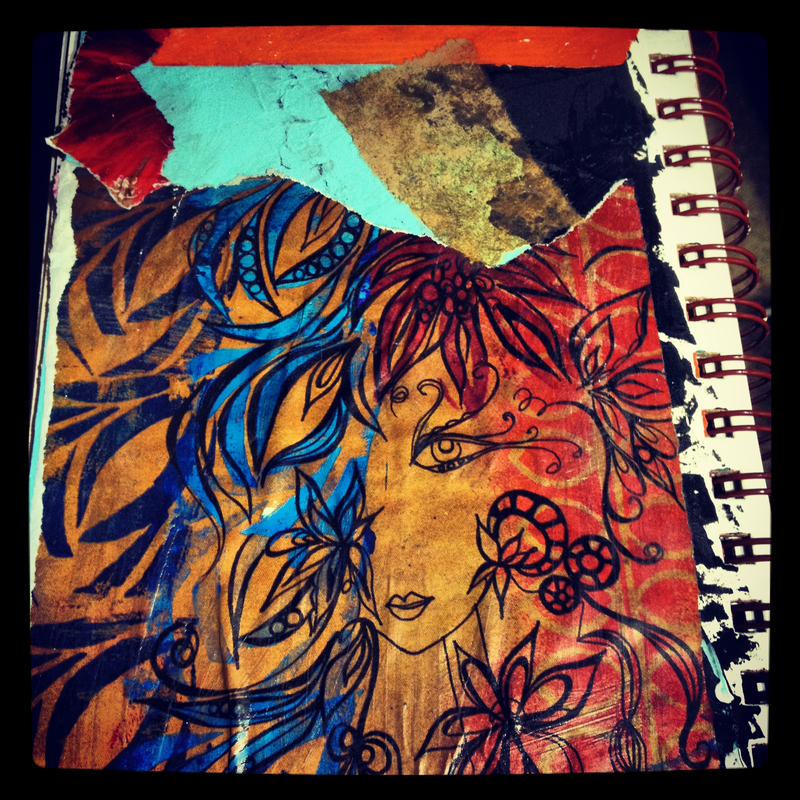 This is “art journaling”. This is something that a friend of mine shared her passion for and inspired me to try myself. And I can now say I am hooked. I am able to use my old stamping tools and supplies, rip out pictures from magazines and catalogs that would otherwise just collect dust on the coffee table until they are recycled, and take words, quotes, song lyrics, whatever may be in my head at the moment – and combine them all to come up with something like this. These are just a few examples of what I’ve done. Some pages are more personal than others and won’t be shared publicly. 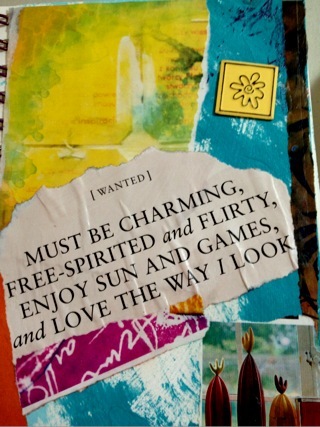 And that’s the beauty of art journaling. You can pour your heart and soul in to the work, express any emotion you may have burning inside you at that moment, and once you release it on the page, a catharsis takes place. No longer is that emotion bottled up inside. No longer is it something you are holding on to. It’s out there. Released. Surrendered. And if it’s still bothersome, well there is always more gesso and black paint. 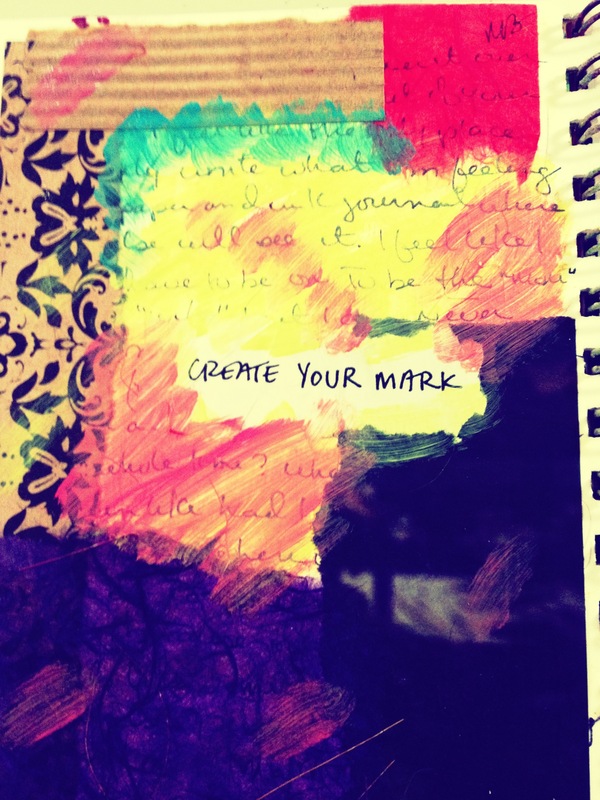 You can cover it up, bury it under another layer, and create something new. There are no mistakes, there are no rules. And that is the beauty of it all. Obviously there is more to it than this. I’m only beginning to learn where this can take me. But that’s where the fun lies in the journey, learning, exploring, creating. So to the new followers, welcome. To the old followers, thanks for sticking around. To anyone that may have just stumbled across this site, browse through the archives, I’m sure you’ll find something of interest there. In the meantime I’ll try to be better about posting here again. And if there are any topics you’d like to see covered that haven’t been, leave me a suggestion in the comments. I’m always looking for new ideas, thoughts, recipes… you get the idea.